“I believe every dental practice and surgery practice can be given the chance to prosper by establishing & following SEO best practices for their website and implementing Cutting Edge marketing tools into their practice. I’m passionate about each client’s overall success and have years of SEO marketing experience including dental SEO and SEO for surgeons. I’m a Certified Google Marketing Professional and my marketing SEO company, Cutting Edge, is a Certified Google Partner after years of proven results, marketing performance and practice growth for our clients. Local SEO for dentists and surgeons. I’m often referred to as relentless in my local SEO pursuits and strive for better each day in order to keep my dentist and surgeon clients happy & their practice growing and thriving. Customer service and satisfaction are very important to me. You won’t find that level of commitment with a larger SEO firm. Cutting Edge works with only a few select clients. Keeping clients to a minimum allows us the time required to truly work full time for each client every single day. That is what it takes to improve your search rankings and to beat the competition. True SEO for medical practices that lasts and positions your practice for long term growth takes ongoing and consistent daily work for months and years. 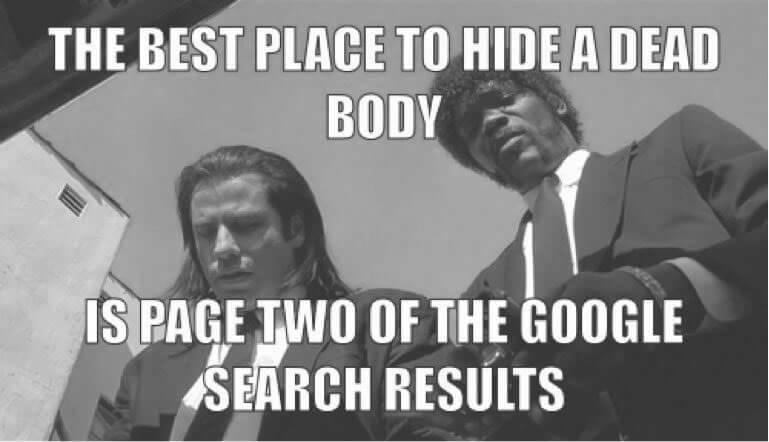 There is no way larger SEO firms with thousands of clients get this right. When you work with a larger SEO marketing company your results will usually suffer. Your practice success is easily lost in the mix of to many clients and the team most likely isn’t very passionate about your individual practice success. To them you’re just another client #44653. We make ourselves a part of your team. We can deliver. 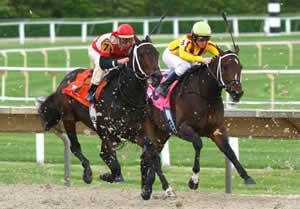 SEO for dentists and SEO for surgeons is a lot like a continuous horse race. You need to establish momentum and keep it. Who is your jockey? How healthy is your horse? Are you even on the track at all? If you don’t maintain momentum your competition will catch you and surpass you. SEO absolutely must be part of your marketing budget in order to grow your practice. Investing in your medical practice SEO is prudent. The benefits from great SEO will last years and even decades. At this time we have a small opening in our schedule to add 1 or 2 additional clients. We offer proven SEO services as part of our All-In-One marketing packages for dentists and surgeons. Plus we offer Monthly SEO Campaigns as a standalone service (6 month minimum commitment), One-Time SEO Upgrades and SEO Audits. How much? Download Pricing instantly. The first step is a discovery call. This is a complimentary call to discuss your goals, your experience up until now, and to give me a clear idea of your practice. We can offer you advice, direct you to resources, and most importantly – see if we are a good working match. Target patients do not easily find your website. Your important specialty procedure pages are lost in millions of search results. Before & after galleries are stale and not updated fast enough. SEO results are not improving (if you know at all). Lack of dedicated experts who improve your website and seo marketing every single day. Many have been with the same web team or marketing person for several years with very little if any transparency, reporting or verifiable progress. One or two competitors are dominating online. You may tinker with the website and marketing yourself but that takes too much time. Organic and referral traffic is not growing. Consults and patients per month are not increasing. Online reviews for your practice are minimal and stagnant. Wasteful feelings about ad spending. Website is not secure (HIPAA Compliant) to ensure privacy and safekeeping of patient communications. Aggressive SEO & digital marketing is the best way to get ahead and stay ahead. As owner of a medical practice you know well that the online world can seem intimidating. You do not have the extra time needed to learn the ins and outs of local SEO or digital marketing techniques that are effective in 2019. We step up, take care of your local SEO marketing and help bring more consults and patients to your practice. As our client you’ll also enjoy local area exclusivity. Your target area is your turf that we intend to help you dominate. Every Cutting Edge medical practice website design includes search engine optimization best practices. Website architecture and content is all handled very carefully and methodically during the design and development phases to be sure SEO best practices are in place sitewide. SEO best practices include keyword market intelligence efforts researching live search engine databases to identify opportunities followed by site architecture optimization and content optimization that reflect our findings. This will make all our search engine marketing efforts for you much easier from the start. Easy to read and digest content that is unique, authoritative and useful. Well structured architecture with headings, lists, text, links etc (not just a bunch of text). Has optimized and fast loading images related to the topic. Has a video further explaining the topic. Links & citations to source material. Has incoming links from related pages and sites. Well designed with little distraction. Makes reaching out to your practice easy with various calls to action in all the right places. Satisfies searcher intent (user finds what they are looking for after clicking your link in search results). Google My Business Optimization, Google Maps, Google+. Name, Address, Phone Citations – Ensure NAP Presence and Consistency. Maintain Listings at the Five Main Aggregators of location data that send information to U.S. local search engines: Infogroup, Neustar Localeze, Acxiom, Factual and Foursquare. Submission of optimized practice info and links to 60+ popular online directories including Amazon Alexa and Apple. Citation Signals (IYP/aggregator NAP consistency, citation volume, etc.) make up 10.82% of Google’s ranking factors for local map results. Push the correct, consistent location information for your dental or surgery practice to all of these data sources. 72% of patients say their first step in finding a new doctor is checking online reviews. Cutting Edge packs dozens of customizable features into one solution to easily aquire patient feedback and online reviews. Review Signals (Review quantity, review velocity, review diversity, etc.) make up 15.44% of Google’s ranking factors for local map results. Online reviews are more important than ever for boosting your practice. Cutting Edge Practice Review is an automated platform that starts with just your patient’s first name and email address and does the rest for you. You can also use kiosk mode and pass an iPad to a patient in your office. The patient is asked to rate how likely they are to refer your practice to a friend and to comment on their experience. This rating process helps form your Net Promoter Score, a key indicator and data point to your practice and patient relationship. Patients that rate you highly (you set the rating criteria) will then be asked to consider reviewing your practice on one of the important review sites you have selected for your account. Poor patient experiences are captured privately so you can follow-up with the patient to resolve their issue. Long-term, consistent use of our platform will gain you testimonials, online reviews and better SEO visibility. We also monitor online review sites and alert you to new reviews posted on your practice so you can respond. Example of star rating in Google results. Using our review platform sends backend info to Google about your ratings that may display stars in the organic search results. Review ratings with stars in results entice more clicks from targeted patients. SEO and the Cutting Edge Review Platform are included features in our All-In-One New Website, SEO, Digital Marketing & Cutting Edge Tools for 1 Monthly Price packages. One-time SEO, as the name suggests, is a one-off service which is comprised of an on-site optimization, and is generally accompanied by several hours of follow-up consulting to explain the work, and provide guidance for the client moving forward. The pricing for this service is highly dependent on the size and complexity of the site. The competitiveness of the market for a business does not come into play, as the work is meant to address any deficiencies in regards to technical, organizational, and contextual nature. Note: the difference between a one-time SEO service and an SEO audit is that the one-time SEO offering includes hands on work on the website; whereas an SEO site audit is a comprehensive document which details our findings, with directions about how to implement changes and undertake fixes. Reputable SEO companies have years of experience, trust established with Google, clients that you can call as a reference and modern tools of the SEO trade that can cost nearly $1000 per month. Powerful SEO is valuable and not easy or cheap. 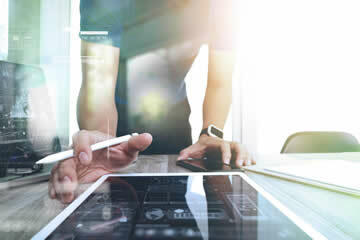 An SEO audit is similar to one-time SEO; however, it does not include hands-on work on the client’s website; instead, the audit document details the deficiencies of a website, identifies opportunities, and provides a roadmap of how to implement changes and exploit the uncovered opportunities. There can be a high price for low cost SEO. Cheap SEO can easily get your site banned. We’ve worked with clients in the past whose websites were under Google penalties because they hired a cheap SEO company 5-10 years ago who slapped links all over the world onto questionable sites in an effort to “game Google results”. Problems like this can take many hours to cleanup and weeks or months to disavow the toxic links with a file sent to Google. If you’ve been the victim of cheap SEO in the past we can help clean it up and get your practice back on the right track. Not sure? We can tell you.